Tahoe Fracture & Orthopedic Medical Clinic is pleased to offer a variety of total and partial joint replacement services to residents of Carson City, Nevada, and surrounding communities. If you are struggling with chronic joint pain and your conservative, non-surgical treatments have failed to deliver the results that you expect, our highly trained and knowledgeable orthopedic surgeons may be able to help. 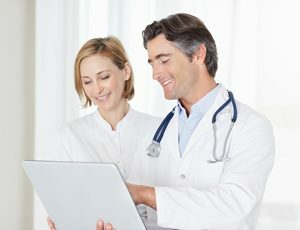 We specialize in a variety of joint replacement services and have a sterling reputation within the community for the high quality of care that we offer, including for patients with the most advanced cases of joint deterioration and damage. While surgery isn’t the first treatment option for most patients, there are instances where joint replacement or reconstruction is the most prudent course of action to help a patient return to his or her normal way of life. In these cases, we educate patients about the various surgical options and help them make the right choice for their body. The appropriate treatment plan depends entirely on the patient and his or her specific prognosis. At Tahoe Fracture & Orthopedic Medical Clinic, we are an established member of the Carson City, NV, community and we have offered total and partial joint replacement treatment to countless patients since we first opened for business in 1966. Our multidisciplinary team of orthopedic professionals offer many highly advanced treatments – many of which are not performed anywhere else in the local area – and are standing by to help you relieve your pain, restore your function, and return to your life. We even have the area’s only open MRI equipment to help diagnose your condition as quickly, easily, and accurately as possible. To learn more about our various joint replacement procedures, contact us today.